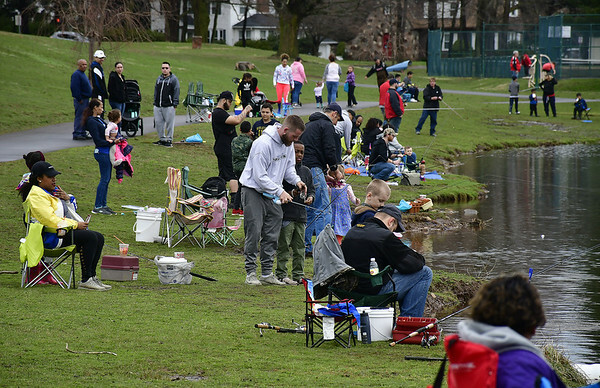 NEW BRITAIN - Around 100 people circled the Stanley Quarter Park pond Saturday, hoping to reel in a fish or win a prize as part of the city’s annual fishing derby. Anglers were having mixed luck. “We haven’t caught anything yet but we’re working on it,” said Tim Filon, fishing rod in hand. “It’s very nice. The weather is perfect for fishing except for the mud,” said Joanna Dje. She said her younger son had caught one fish already. Jacob Dje’s sister almost had one on the line. “I think it was pretty big because everything that was on my line broke off,” said 9-year-old Juliette Dje. Hopeful anglers had the chance to win three raffle prizes. First prize was a canoe with paddles, second was a membership to the New Britain Museum of American Art and third was a membership to the New Britain Youth Museum and Hungerford Park Nature Center. The city awarded prizes for the most fish caught, the longest fish and the heaviest fish caught across four age groups. 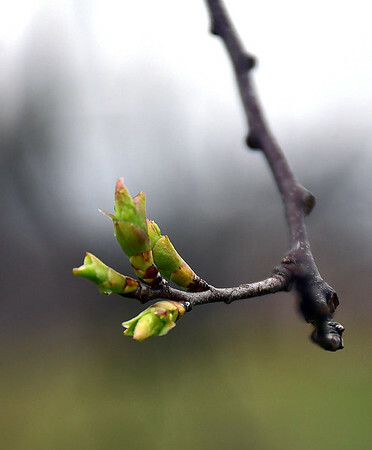 The age groups were under 5 years old, 5 to 8, 9 to 12, and 13 to 15. Local residents, businesses and clubs donated the prizes. Nineteen sponsors helped with the event. Kids who caught one of the tagged fish could win a gift card to Cabela’s. 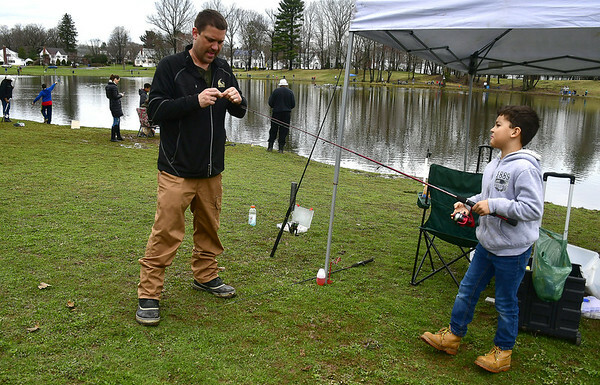 “This event usually brings out a couple hundred people every year,” said Eric Bowling, the coordinator of the fishing derby and the recreation services coordinator for New Britain. 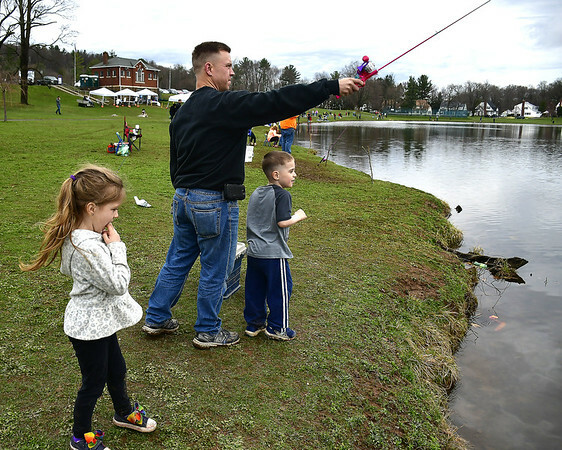 The city filled the pond with over 200 trout for the fishing derby. “Family time - just some good memories, that’s the goal of this event,” Bowling said. 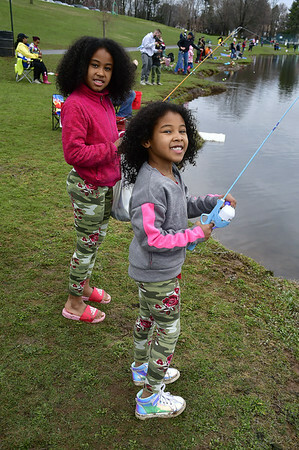 Locals enjoyed spending Saturday fishing with family, even if the trout weren’t biting. The morning started out drizzling, but the clouds parted before the derby finished. “It’s a great family event. 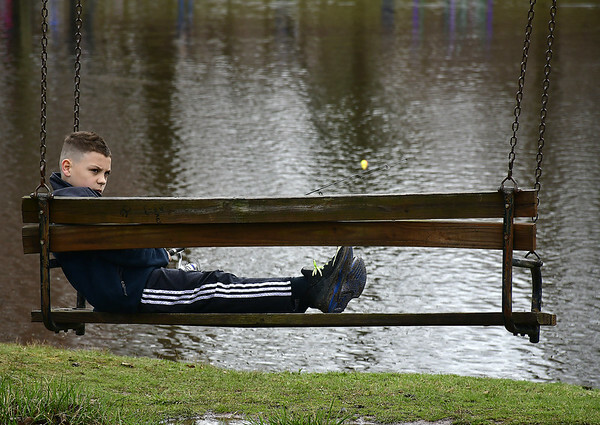 I brought my 4-year-old son but he’s playing in the mud more than fishing,” he added. First-time anglers turned out for the derby as well. Posted in New Britain Herald, New Britain on Sunday, 14 April 2019 21:45. Updated: Sunday, 14 April 2019 21:48.